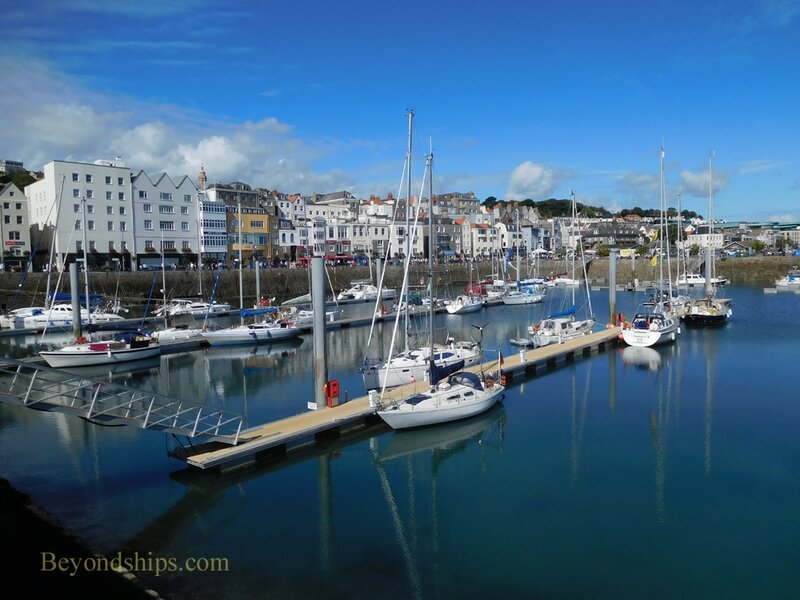 St. Peter Port is the capital of Guernsey. However, it is more of a large town than a city. It has a population of approximately 16,000 people. The atmosphere is peaceful and unhurried. The town has been a sea port at least since Roman times. Its natural harbor has been greatly expanded with man-made sea walls. However, most of the vessels in the harbor are yachts and pleasure craft utilizing the harbor's several marinas. The land slopes up steeply from the harbor. Narrow cobblestone streets and steps run up the hills. 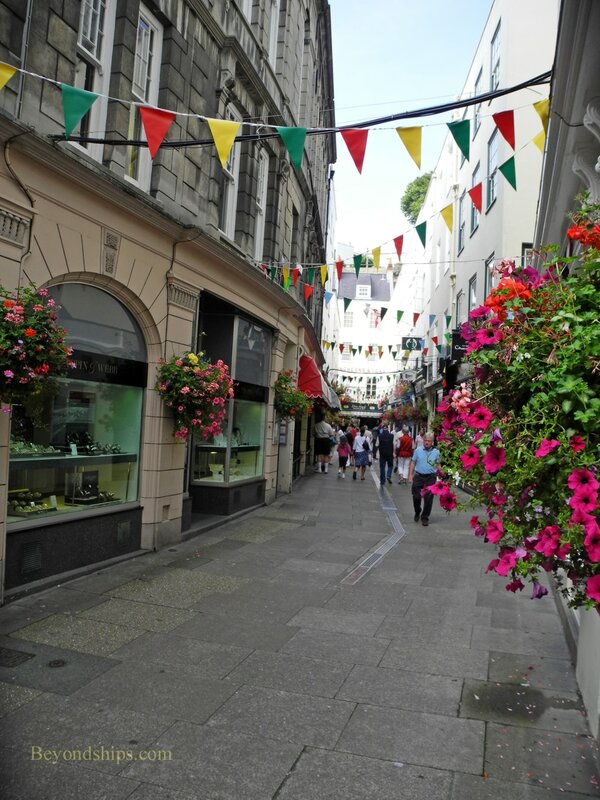 St. Peter Port's high street is located one street inland from the sea front. It is the town's main shopping street. Along with some neighboring streets, the high street has been pedestrianized. The Town Church (below) dates from 1250 but was completed substantially in its current form in the 1470s. An Anglican church, it has traditionally served as the parish church. Albert Memorial. In 1859, Queen Victoria and her consort Prince Albert visited Guernsey. 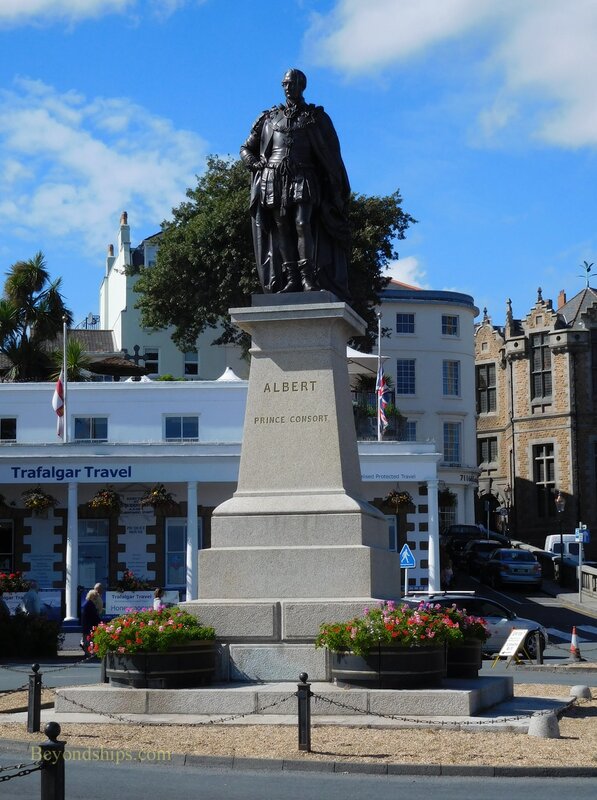 Following Albert's death, this memorial was erected in 1863 (right). Victoria Tower (below). In 1846, Queen Victoria became the first British monarch to visit Guernsey. 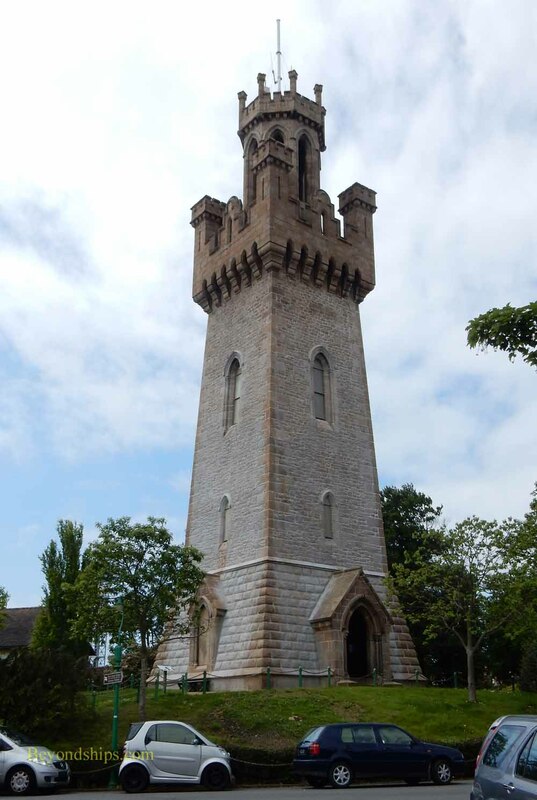 To commemorate that visit, this tower was begun in 1848. 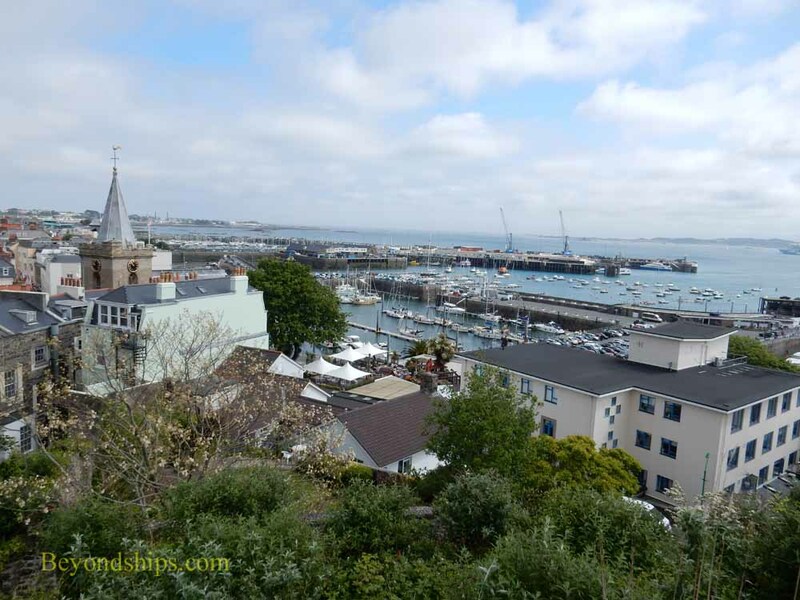 It remains the highest tower in St. Peter Port with panoramic views over the west, east and north coasts. 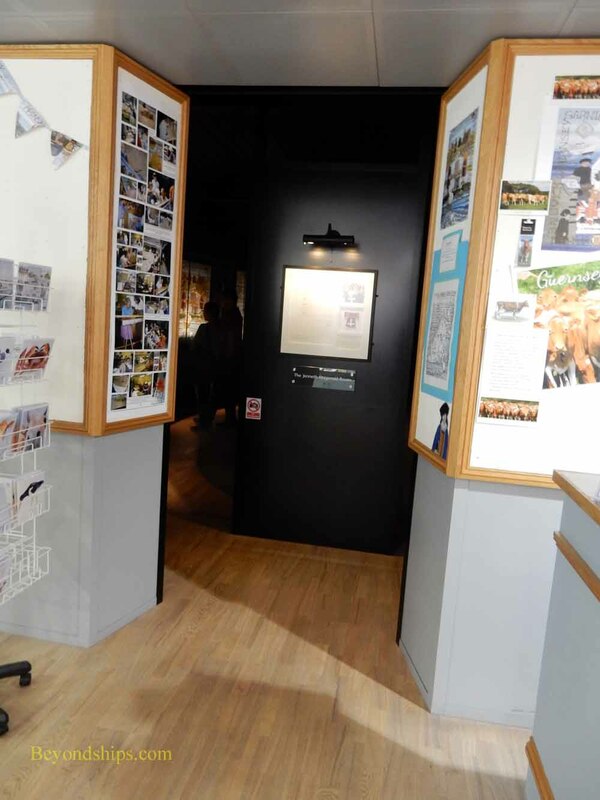 The Guernsey Tapestry Gallery (left) contains a series of ten panels illustrating 1,000 years of the history of Guernsey. 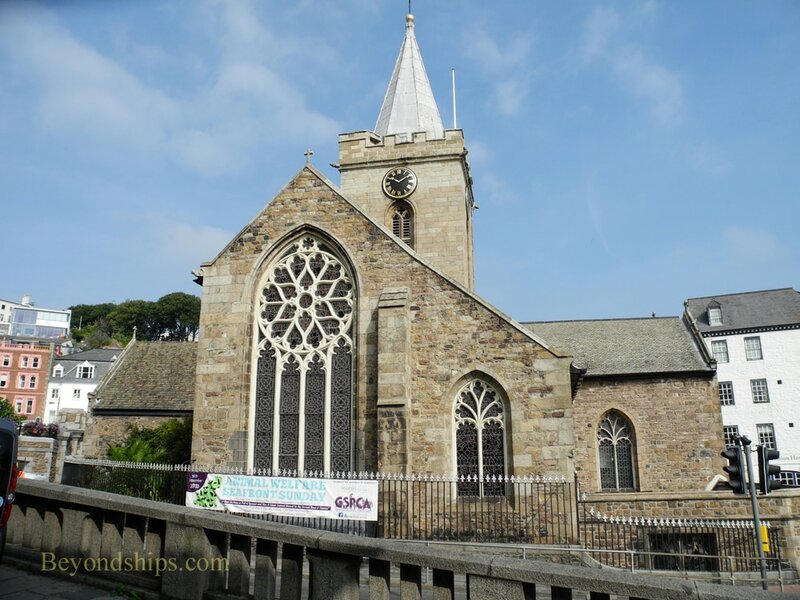 It was created for the Millennium and the panels were stitched by residents of the Bailiwick of Guernsey. 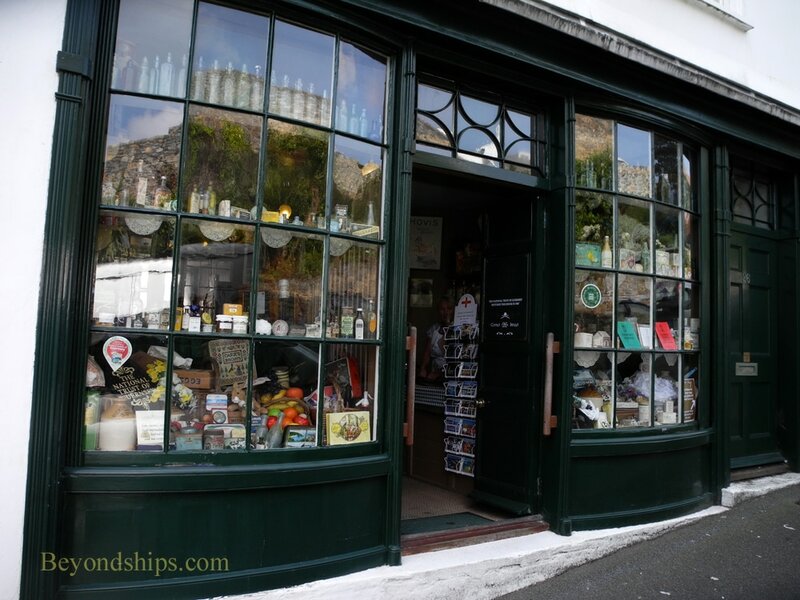 The Victorian Shop and Parlour, operated by the National Trust of Guernsey, is a recreation of a Victorian store and the parlour of a residence. 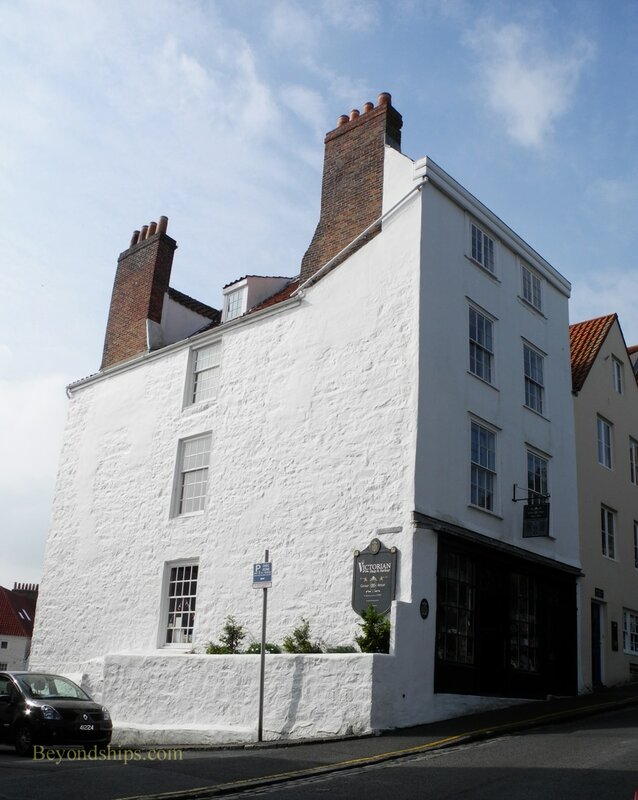 It is housed in an 18th century structure that is probably the oldest complete building within St. Peter Port's medieval boundaries. 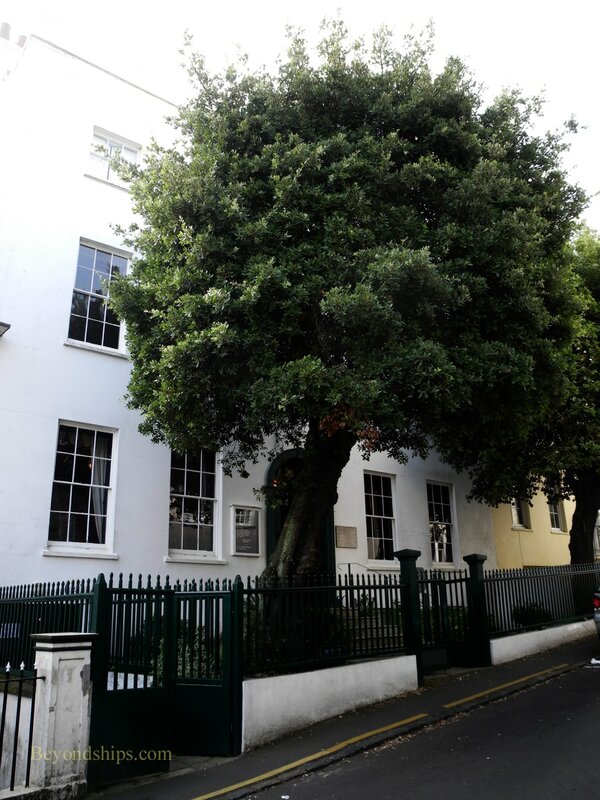 Hauteville House is where Victor Hugo and his family lived for 15 years during his exile from France. Here, he wrote several of his novels including Les Miserables and Toilers of the Sea. The author also decorated the house. The house has been restored and is open to the public. The Candie Gardens is a public park and restored Victorian formal garden. It has panoramic views of the harbor and includes plants from around the world.